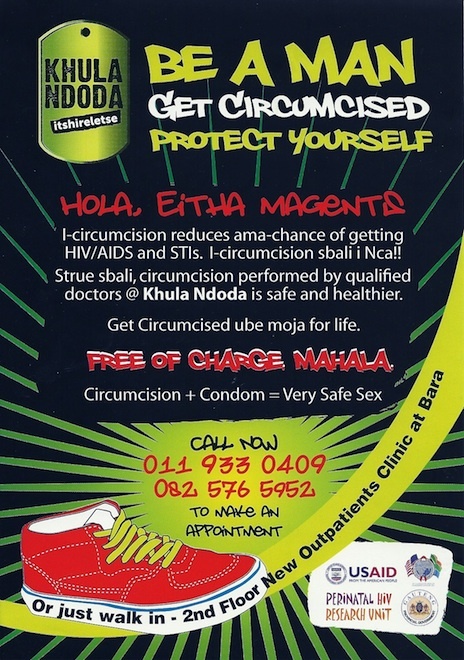 Expanding its commitment to reduce the impact of the HIV epidemic on South Africans, in 2010 PHRU opened Khula Ndoda, a clinic offering free male circumcisions to residents of Soweto and surrounding communities. 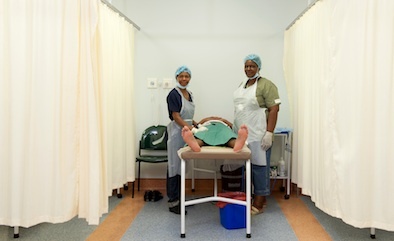 Medical male circumcision has been shown to be 50 to 60 percent effective at preventing HIV among men. It is with great pride that PHRU provides this important HIV prevention service to the Sowetan community. Why not get a FREE circumcision? Not only does it protect you from HIV but also is cleaner and reduces your risk for getting sexually transmitted infections (STIs). Come get HIV tested and have a safe circumcision. Remember: Circumcision only partly protects you from getting HIV, so always use a condom. Learn more about medical male circumcision and how it can help protect you from HIV and other STIs. Call or walk-in for an appointment.